A wearable automatic defibrillator may be an alternative to an implantable cardiac defibrillator for a small group of patients. There are few large, randomized and controlled clinical trials of the vest and similar technologies, so they should not be used except for specific patients. This is the American Heart Association’s first science advisory on the wearable automatic defibrillator. DALLAS, March 28, 2016 — A wearable automatic defibrillator may be an option for patients who are at risk for life-threatening heart rhythm abnormalities but are not good candidates for an implantable cardiac defibrillator (ICD), according to an advisory from the American Heart Association, published in its Circulation journal. The light-weight device is worn under street clothes, and, like an ICD, it is designed to provide around-the-clock monitoring of erratic heart rhythms that could result in sudden cardiac death, and when appropriate, provide an electric shock to return the heart to a normal rhythm. This is the American Heart Association’s first science advisory on wearable defibrillators. 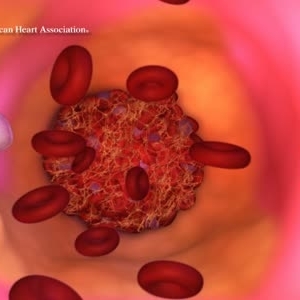 Heart rhythm abnormalities, which can increase the risk of sudden cardiac death, are common in people who have recently had a heart attack, undergone procedures to open blocked blood vessels or have cardiomyopathies, which are diseases of the heart muscle. “For many of these patients, the risk for life-threatening rhythm abnormalities may be temporary, so the wearable cardiac defibrillator could be a short-term alternative to an ICD, which is permanently implanted in patient’s chest,” said Jonathan Paul Piccini, M.D., lead author of the advisory and a cardiac electrophysiologist at Duke University Medical Center in Durham, North Carolina. Other patients who might benefit from a wearable cardiac defibrillator are those who have life-threatening arrhythmias who are in need of an ICD but may not be able to undergo the surgery to implant the device because they have an infection or another contraindication for surgery. 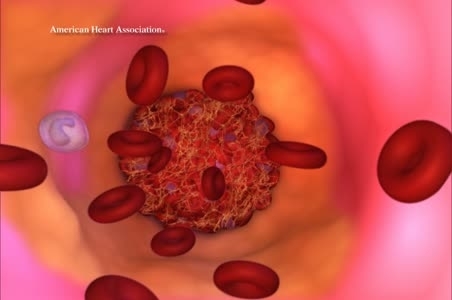 Heart failure patients waiting for a heart transplant may also be candidates for the wearable cardiac defibrillator, particularly if the wait until transplant is expected to be short. The advisory also notes that there is very little evidence to support systematic use of the wearable defibrillator and randomized clinical trials (like the VEST trial) are needed to determine if wearable defibrillators lead to improved outcomes. “Although a growing number of patients are being prescribed wearable cardiac defibrillators by their doctors, there have been very few well-designed and completed studies of these devices. Wide spread use of the wearable defibrillator is not advisable because there isn’t enough clinical evidence to support its use, except in a small number of patients with known life-threatening arrhythmias but for whom surgery to implant an ICD is not advised in the short-term,” said Piccini. The wearable defibrillator, which resembles a fishing vest with defibrillator electrodes, can be adjusted to fit most body types, and if prescribed by a physician, is usually covered by insurance. If the wearable defibrillator detects a life-threatening heart rhythm problem it emits an alarm and vibrates. If the wearer feels normal, they must respond within one minute by pressing a button to indicate they don’t need to be shocked. If they don’t respond, the wearable defibrillator delivers a shock through electrodes that attach to a patient’s chest to help the heart’s rhythm return to normal. “Unfortunately, patients often find the wearable defibrillator uncomfortable,” Piccini said, adding that this is likely to change as the technology improves. “As with most new medical technologies, biomedical engineers are working to make them smaller, more lightweight and less burdensome. One company is already developing a self-contained system in a large, self-adhesive plastic bandage that a wearer just sticks on their chest,” Piccini said. In the meantime, larger, randomized and controlled clinical trials of the wearable defibrillator and similar technologies are critically needed before they are used widely in clinical practice, he said. 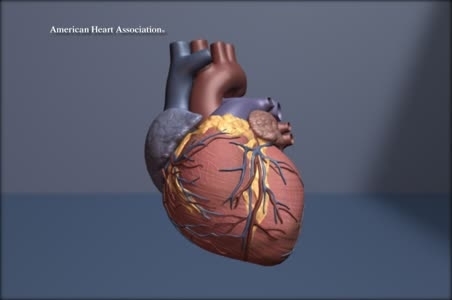 Sudden cardiac death is caused by a malfunction in the heart’s electrical system that disrupts its rhythm and suddenly causes the heart to stop beating. It’s not the same as a heart attack, which is caused when blood is blocked from flowing into the heart, damaging heart muscle. Co-authors are Larry A. Allen, M.D. ; Peter J. Kudenchuk, M.D. ; Richard L. Page, M.D. ; Manesh R. Patel, M.D. and Mintu P. Turakhia, M.D. After Monday, March 28, view the manuscript online. 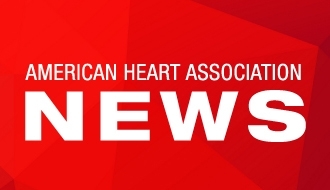 Follow AHA news on Twitter @HeartNews. Graphic showing an arrythmia or heart rhythm change. 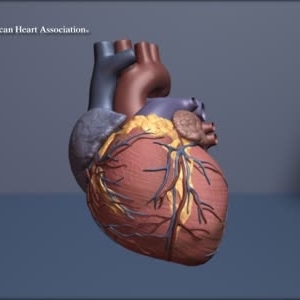 A computer generated graphic animation of a full blockage causing a heart attack.